Whether you work in an office, factory, retail showroom or restaurant, there’s a pretty good chance that your coffee break is one of the ways you manage your day – and one of the ways you make sure you clear your workload on time. 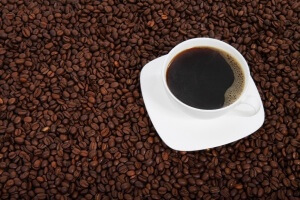 Caffeine begins to take effect about 10 minutes after first being consumed, with a peak effect about 45 minutes un. For many of us, our pre-commute morning coffee is just enough to power us through the commute, and a warm, aromatic cup of a good coffee on arrival at the workplace will get you back up to speed. Similarly, if you start your cup ten minutes before the end of any break, you’ll get the maximum benefit when it comes to getting the day’s work handled smoothly and effectively. Believe it or not, the giant mug isn’t the way to go; Studies have shown that a smaller cup’s worth of caffeine about once every hour creates a smoother caffeine ‘curve’ through the day, keeping you more up and energised for most of it without setting you up to crash later on. This kind of steady performance makes your days much easier to handle, as you’ll never be thrown a curve ball when you’re in a slump. The good news is that this fits very nicely with the desired cup sizes for many of the coffee machines we offer, including the FLAVIA and Klix systems – so it’s more natural to get the right size with those, but it’s also something to think about with WMF and Jura machines which have more flexibility. Honestly, here at Nexus Drinks we believe you should sweeten if that makes the flavour better for you and avoid sweetening if it doesn’t. Still, there’s some evidence from the scientists that caffeine and sugar together has much more effect than either one on their own; the effects they have on your brain almost seem designed to combine. If you’re really on deadline crunch, maybe it’s worth adding some sugar even if you don’t normally – or failing that, how about one of these popular substitutes? Previous Previous post: A Little Something Special?